Deported migrants yesterday took the streets and occupied the Westfield monument in a massive and peaceful demonstration regarding the multiple deportations of Gambians from Germany. The protest is in connection to the recent press release made by the Government denying signing any agreement with the European Union. Spokesperson and leader of the protesters Omar Saibo Camara, told gathering that they have taken several diplomatic approaches to reach out to the Gambia Government over this issues but to their surprise they have not reasoned to their request. He reiterated that since November last year the Germany government (interior minister) was quoted in the new media publication which states that there are 2500 Gambians refuges whose asylum cases have been rejected and are already identify to be deported into the Gambia. 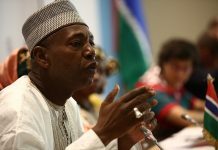 ‘’ since December over 30 Gambian were deported and the Germany interior Minister was again quoted that beside the number there are 5000 remaining Gambian asylum seekers who are either waiting for answers of their interview or are yet to have an interview, Germany have categorize Gambia as a safe country and they are ready to send the citizens back’’. The spokesperson noted that they will not accept such, as this immigrants have right to be migrants and refuges so long as they do not violate the rules of that particular country. ‘’we demand the European police to stop maltreating our brothers and sisters who are been deported, the last group of 20 deportees were been handcuff from German to the Gambia which is totally wrong we demand them to stop such heartless and racist act’’. 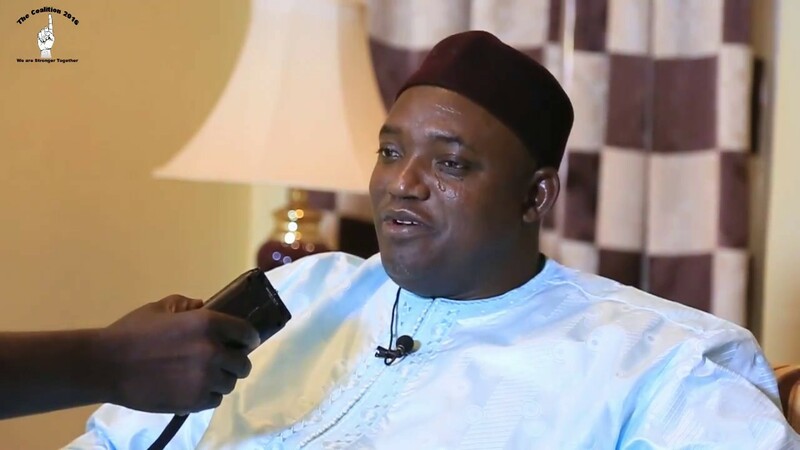 Saibo called on the Government of Gambia to address the harassment and human right violations during the process of deportation calling it shameful and undone. ‘’ we are calling on Barrow and his government to engaged the Europeans especially Germany and Italy regarding our welfare to reprioritize and renegotiate to stop deportation’’. He said the immigrants cannot help their families nor contribute to the socio economic development of the country if they are constantly been deported. Among various speakers Alieu Bah an activist, said if you are deported it means you don’t have any document and you are poor because you went through the back way in which poverty drove you away. ‘’ nobody wants to welcome a poor person when was the last time they welcomed a poor person if you are poor you die within 20mins and you are buried and if you are rich they spend hours talking about your good deeds’’. Mr. Bah asserted that politician say the things that they want people to hear which does not mean anything saying speech and action are different they can say and create whatever they want. He noted that Africa has the best Constitutions in world but the black people continue to face economic apartheid. He said one thing to do is to create legal instrument that will respect our youths. ‘’ the Government of the Gambia has fail her people unnecessarily when they could have done so much for their people, We have to leave our live in the best way we can possibly leave.